Hero is the future of capital markets of Southeast Asia. All proceeds from the sale of the Hero Origen Token will be donated to a non-profit Foundation, which will be established in Switzerland, will either directly or through subsidiaries and affiliates promote transparency, financial inclusion, and efficiency in Southeast Asia through the development and operation of the Hero Capital Market Platform. The Hero Capital Market Platform will utilize blockchain and smart contract technology to facilitate the legal issuance of fiat and cryptocurrency denominated financial smart contract digital tokens by underserved individuals and businesses in Southeast Asia to investors globally. 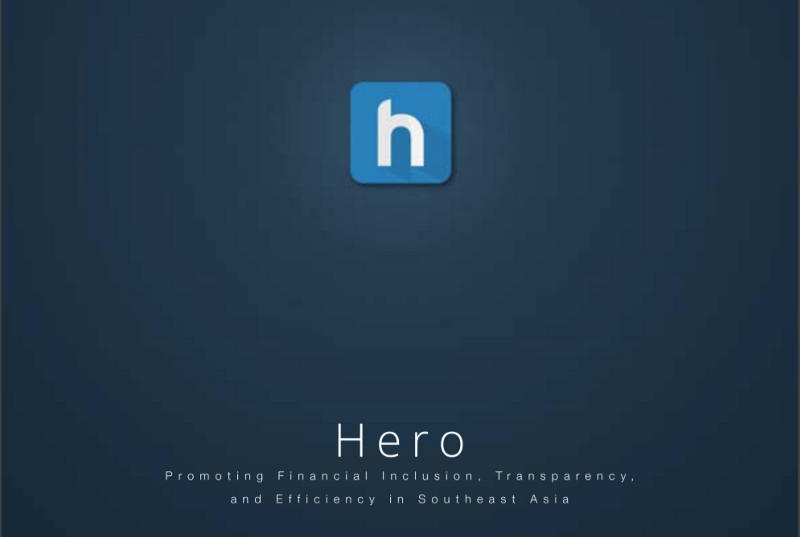 The Hero Capital Market Platform will facilitate the participation of legal counsel, vulture investors, payment providers, borrowers, lenders, originators, servicers and rating providers to promote the Hero Vision of promoting financial transparency, inclusion, and efficiency in capital markets across Southeast Asia. The Hero Capital Market Platform will utilize blockchain and smart contract technology which will enable a network of financial service marketplaces comprised of a series of interdependent and mutually reinforcing projects in the Southeast Asian market focused primarily on promoting financial inclusion, transparency, and efficiency by enabling the legally enforceable, efficient, frictionless, and profitable transfer of digital currency to/from local fiat currency in order to provide capital for individuals and businesses in markets that are currently excluded from transparent and efficient access to financial services. What is a Hero Origen Token? The HERO Origen token is built as an ERC20 token on the Ethereum blockchain and it is identified through the symbol ‘HERO’. A HERO Origen Token provides membership and also access to the Hero Capital Market Platform. When the Hero Capital Market Platform is once developed and launched, it will be a Blockchain based collaborative platform to enable securitization of financial products as token issues from borrowers in Southeast Asian markets to investors globally. 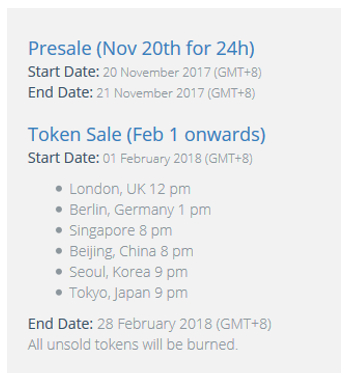 Minimum contribution — No minimum amount is required to participate in the token sale this February 1st. The minimum was only applicable during the presale. Maximum contribution and supply of tokens — No maximum amount applies. Maximum number of tokens available for sale is 50,000,000 (50 million HERO tokens). Accepted Nationalities — U.S. Citizen, U.S. Person, resident in the Territory of the British Virgin Islands or a citizen or person from a jurisdiction, in which it is impermissible or restricted to offer, distribute, purchase, sell or retain cryptographic tokens, are not eligible to participate in this token sale. 3. Hero Origen Token holders will be given pro-rata right of first offering on funding opportunities on the Hero Capital Market Platform. Once the Hero Capital Market Platform has been launched, a new class of tokens (“Hero Member Tokens”) will be offered for access to the Hero Capital Market Platform based upon the market demand. The amount of Hero Member Tokens that will be issued has not yet defined by the company.